Whitely Town, Indiana was founded as its own city in the early 1890s by a wealthy man from Ohio named William Needham Whitely, who was known at the time as a great inventor and “the Reaper King.” He envisioned that this place would become one of the major centers of industry in Indiana. He chose this location during the “gas boom era” during which there were plentiful and cheap natural gas fields in east central Indiana. Drilling for wells in Delaware County was fast and furious, but there wasn’t enough infrastructure to support the numbers of incoming workers from Ohio, Kentucky, and New York. 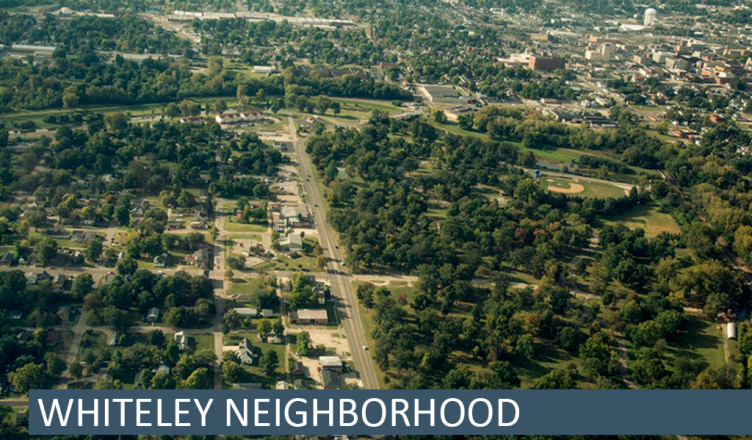 The Whitely Neighborhood Association meets at 5:30 pm on the second Monday of every month at the Muncie Area Career Center, 2500 N. Elgin. All are welcome. In fall 2011, Students from the Ball State University College of Architecture and Planning, under the direction of BSU faculty member Lisa Dunaway, worked alongside the Whitely Community Council to develop the Whitely Neighborhood Action Plan (WNAP). Since 2011, the WNAP has guided the neighborhood towards successful implementation of many of the identified action steps.